Enter a mixed fraction whole number, numerator, and denominator to convert it to an improper fraction. The calculator also shows the steps to make the conversion yourself. You might also be interested in learning how to convert an improper fraction to a mixed number. A mixed number is a number represented as an integer and a fraction. Follow these easy steps to convert a mixed number to an improper fraction, which is a fraction that has a numerator larger than the denominator and can be reduced. The first step to converting a mixed number to a fraction is to convert the whole number to a fraction. To do this, multiply the whole number by the denominator of the fraction. Then put this over the denominator. For example, let’s convert the whole number 2 in the mixed fraction 2 14 to a fraction. The next step is to add the fraction from the last step with the fraction in the mixed number together to find the improper fraction. 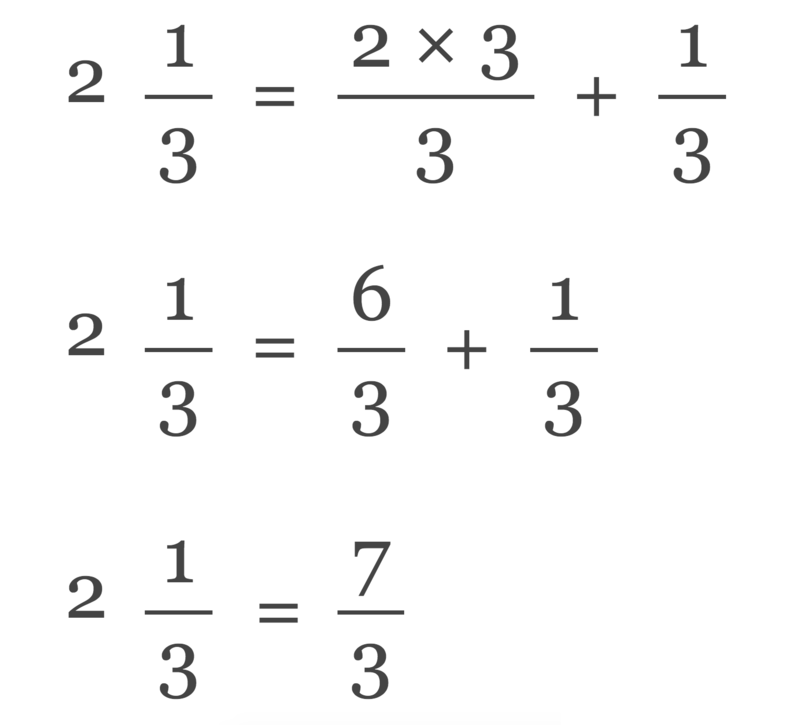 To do this, add the numerators of each fraction together, then put the sum over the denominator. The result is the improper fraction. For example, add 84 and 14 to find the fraction.